The new Marriott Bonvoy AmEx Card is still one of the best Canadian travel credit card, and you now can get a total of 60000 Marriott points + $50 or $60 GCR bonus if you apply it through GCR. It was 50000 points yesterday. AmEx just increased the welcome bonus today. 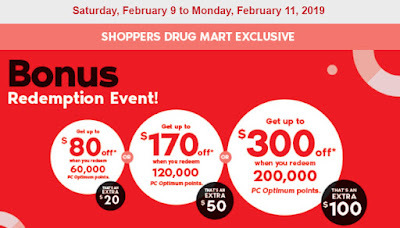 If you want to sign up for GCR, please use our referral link as follows: https://www.greatcanadianrebates.ca/Register/126795/ , and input our email as a referral: canadianrewards@gmail.com . GCR will give you extra $3 bonus (we will also get some bonus. Thanks). App Store & iTunes gift cards discounts are ongoing. Offer valid until Mar 3, 2019. Mylo: Turn your spending habits into saving habits. 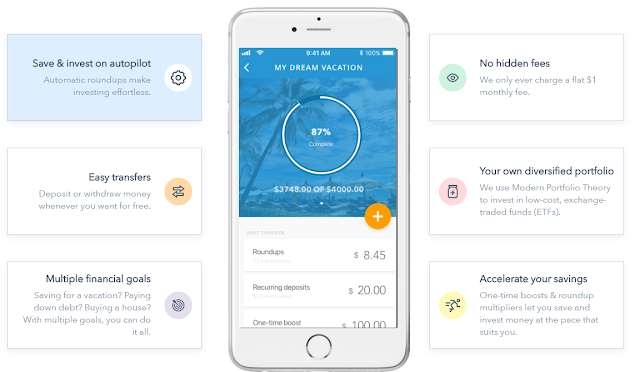 Updated on Feb 22, 2019: The Mylo $1,000 referral bonus is back (expires on Mar 1, 2019)! Please see below for more information. Just a reminder: still time to earn this big bonus. Mylo app has been around for almost a year. Launched in July 2017, this app automatically rounds up every purchase you make to the nearest dollar and invests the spare change. There’s no investment knowledge required, and you don’t have to change your lifestyle. It helps Canadians to turn their spending habits into saving habits. 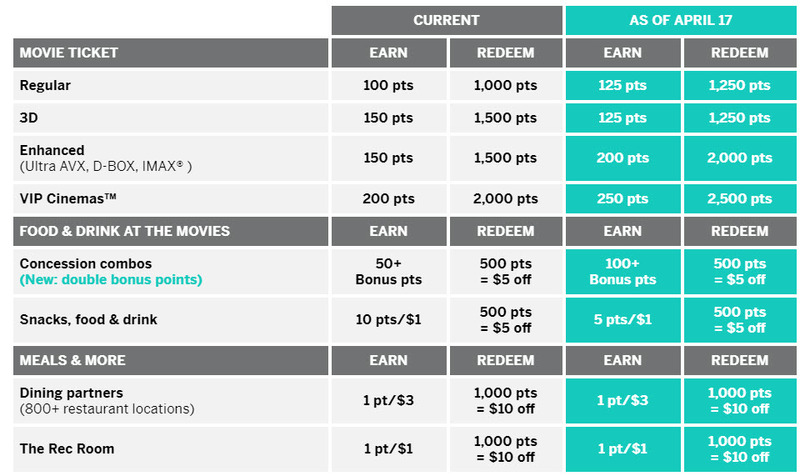 Starting April 17, 2019, you'll earn and redeem more SCENE points on your movie ticket and earn 5 points for every $1 you spend on food and drink at Cineplex theatres. You will continue to earn a free movie for every 10 that you see. Plus, there are other ways to earn more points to get the rewards you love even faster. 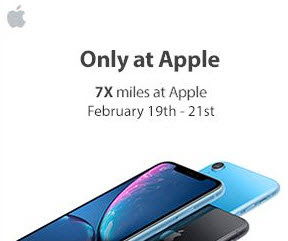 You can earn 7 Aeroplan Mile for every $1 you spend at Apple! Please note the following items are not eligible for the accumulation of Aeroplan Miles: gift cards, gift wrap, Bose products, Apple Developer Programs, Employee Purchasing Programs and shipping. Apple sells and ships products to end user customers only; you may not purchase for resale. Eligible only to a customer for up to five (5) units per eligible product, except iPhone, in which case only two (2) units within a thirty-day (30-day) period are eligible. Sale amount does not include taxes or shipping and handling fees. Please allow 6-8 weeks for miles crediting. To earn Aeroplan Miles, you must complete your purchase during the same shopping session you start after clicking on the eStore link. If you visit other sites before completing your purchase or use coupons not provided by eStore, you may not earn Aeroplan Miles on your purchase. You can get a bonus of $25 Canadian Tire Gift Card when you buy $250 in Canadian Tire Gift Cards. Limit $500 per customer. This is equal to ~9% off. You can also get nice credit card rewards if you have the PC Financial WEMC or AmEx Gold. I think this is a great offer, especially you can use Canadian Tire gift card for gas purchase at Canadian Tire Gas Bar. The standard offer for this card is only 15000 Aeroplan miles. Although this is listed as an Online Only offer, you can get the same welcome bonus if you can TD to apply. Some reader did tell me that the online application form may show error messages at the end. This is the 4th metal credit card in Canada, and probably the easiest one to get. The other 3 Canadian metal cards are AmEx Centurion, HSBC Jade WEMC & RBC Private Banking Visa Infinite Privilege. Previous cardholders can call their 800 number asking for a replacement card (this is the quickest way), or you can just wait for AmEx to send a new card (it will be slow...). Note: when you replace a card, the card number will be different. The annual fee is still $699, and $200 Annual Travel Credit is still there. As a Platinum Cardmember, you can earn 3 points for every $1 in Card purchases on eligible dining in Canada, 2 points for every $1 in Card purchases on eligible travel, and 1 point for every $1 in all other Card purchases. And when you book prepaid eligible hotels or car rentals through American Express Travel Online, you can also earn 1 additional point2 for every $1 you charge to your Card. As you know, it was 1.25 MR points for every $1 in card purchases before. Now, AmEx increases the return on Dining and Travel but decrease other purchases to 1X. No wonder the annual fee is not increased. 3X on dining is nice, but still not as good as the 5X dining from Cobalt. For other purchases, the new AmEx Platinum is the same or worse compared with the AmEx Gold Card. I guess many people may choose the AmEx Gold due to the annual fee difference. I will not say that I am disappointed today, but just not excited as I heard about the metal card change. Note: the 3X on dining and 2X on travel is effective from Feb 13, 2019, but the 1X for other purchases will not be effective until Jun 25, 2019. Before that, card holders can still earn 1.25X for other purchases! Note: Points are not redeemable for cash or credit. PC Optimum points redemption excludes purchase of tobacco, lottery tickets, alcohol, gift cards, all prepaid cards, transit/event tickets, post office transactions, passport photos, cash back, delivery charges, all non-participating 3rd party operations and any other products. As you know, there are 2 different categories for AmEx cards: credit cards (SPG, Cobalt, SimplyCash etc...) & charge cards (Platinum, Gold etc...). Before, in Canada you can only have up to 2 AmEx credit cards at the same time. Now, you can have up to 4 AmEx credit cards at the same time. 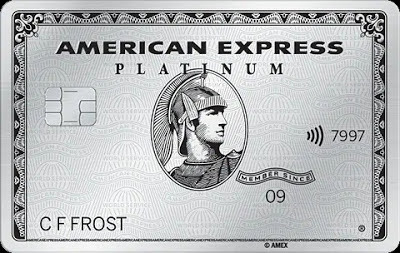 AmEx Platinum Card will be made out of metal (coming soon...). 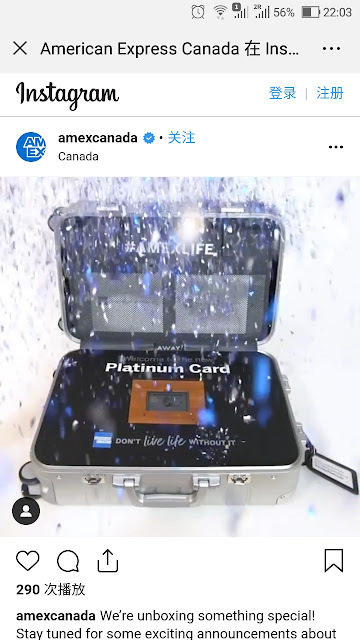 This will be the 2nd metal AmEx card in Canada, probably the 4th card in Canada. The other 3 Canadian metal cards are AmEx Centurion, HSBC Jade WEMC & RBC Private Banking Visa Infinite Privilege. Updated on Feb 7, 2019: Finally... Here it is! AmEx Platinum metal card is coming to Canada this month. BTW, if you want to apply it, please wait a few more days. We will update here once it is official released. One of my friends just called AmEx and the CSR said that the metal card is in progress. They will notify the current AmEx Platinum cardholders for the replacement card later. 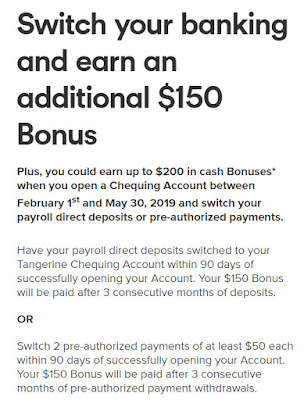 Before Apr 30, 2019, you will earn $50 when you open any type of Tangerine Bank Account with a minimum deposit of $100, using a friend’s Orange Key (your friend will get bonus too). As you may know, Tangerine Bank is a subsidiary of Scotiabank, and you can use Scotiabank ABM for free. If you switch your payroll direct deposits to your Tangerine Chequing Account by May 30, 2019; OR switch 2 pre-authorized payments of at least $50 each by May 30, 2019, you will earn $150 bonus. Your first book of 50 cheques is free. And you can also transfer money by email for free! As a new Tangerine client, you can earn interest at 2.75% with Tangerine for six months on all deposits made to your first Tangerine Savings Account, Tax-Free Savings Account, or RSP Savings Account starting the day you open the Account. Normal interest rate is 1.25%. Tangerine Money-Back MasterCard is officially launched (2% Money-Back Rewards on purchases in two 2% Money-Back Categories of your choice, and 0.5% Money-Back Rewards on all other purchases. If you deposit your Money-Back Rewards into a Tangerine Savings Account, you can get a 3rd 2% Money-Back Category). If you apply Tangerine Money-Back MasterCard through GCR, you will get additional $40 bonus. For opening Tangerine bank accounts, you can either show your ID at a Canada Post Outlet or at a Tangerine Café, or you can send Tangerine a cheque from your other bank to verify your identity. After you open your Tangerine Bank accounts, you can have your own Orange Key and you can use it to refer your friends. Last but not least: If you cannot find a Orange Key from your friends, you can use our Orange Key: 34443610S1 If you want to sign up for GCR, please use our referral link as follows (the referral email: canadianrewards@gmail.com), https://www.greatcanadianrebates.ca/Register/126795/ , and GCR will give you extra $3 bonus (We will also get some bonus. Thanks). This offer is available to individuals who, between February 1, 2019 and March 31, 2019 purchase an Amazon.ca Gift Card with a value of $5 or $10 or more in UGO Wallet. Individuals who complete the above actions are eligible to receive a bonus Amazon.ca Gift Card of the same value as the one they purchased, up to a maximum of $10 ("e-Gift Card"). Limit one per customer. 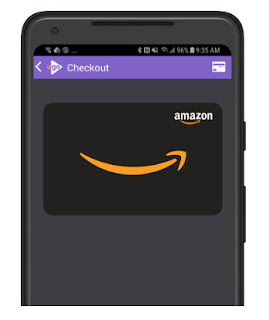 Bonus gift card will arrive in app within one week of purchase. While supplies last or until March 31, 2019.